Vents pipes provide a means to release gases and regulate air pressure in water and wastewater systems. Vents also admit oxygen to the waste system to allow aerobic sewage digestion. 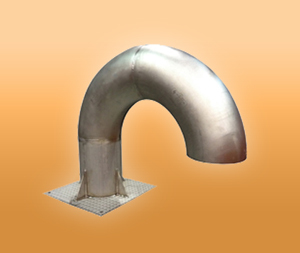 MSU manufactures vent pipes which are located in such diverse areas as storm and wastewater systems, water treatment plants, wastewater treatment plants, maintenance holes, pumping stations, reservoirs, and underground vaults.